On Thursday, US News and World Report ranked Israel, Saudi Arabia, the UAE, Iran, Turkey, Qatar and Egypt among the 25 most powerful countries in its annual survey. Israel ranked highest of all Middle Eastern countries, in eighth place worldwide, with the report citing its military might and diplomatic support from the US. Saudi Arabia followed closely in ninth and the UAE in tenth, surpassing South Korea and Canada. Iran and Turkey followed, ahead of both India and Australia, with their economic potential noted. The annual rankings are based on 65 indicators in nine categories such as a strong military, strong international alliances, economic and political influence, and leadership. Qatar, despite the year-long Gulf rift, was also included on the list, three positions ahead of last year. Egypt secured the last twenty-fifth position, described by the report as “one of the world’s earliest and greatest civilizations,” which highlighted the country’s growth in tourism and manufacturing. Middle Eastern nations, however, ranked lower in the “Best Countries” classification, as well as in key categories such as education. 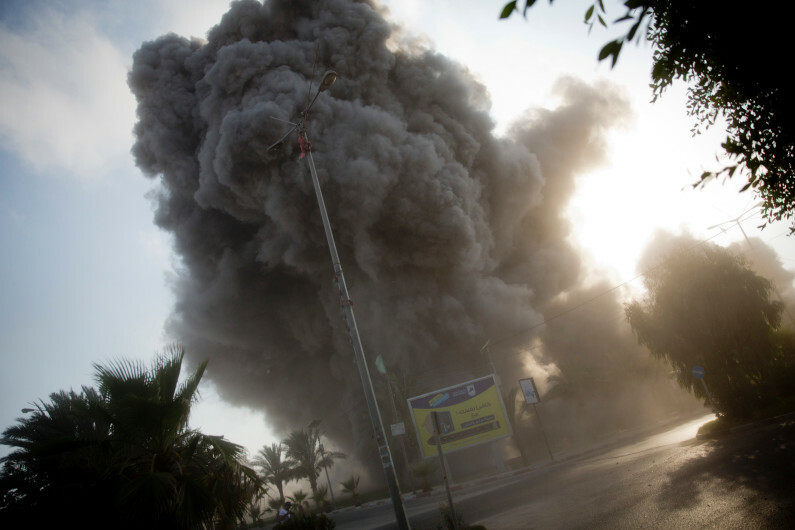 Smoke raises in the background following an Israeli airstrike in Gaza City on July 14th, hours before Hamas and the Islamic Jihad movement announced a ceasefire agreement had been reached with Israel. The Israeli military carried out its largest daytime airstrike campaign in Gaza since the 2014 war as Hamas militants fired dozens of rockets into Israel, threatening to spark a wider conflagration after weeks of tensions along the volatile border. Credit: AP Photo/Khalil Hamra. Only hours after a ceasefire was reached in Gaza on Saturday night, rockets sounded in two communities on the Israel-Gaza border. Two Palestinian teens were killed by the Israeli strikes and four Israelis were wounded after a rocket fired from Gaza struck their home. In one of the most violent strikes since the 2014 war in Gaza, the Israeli military struck more than 40 Hamas targets throughout the Gaza Strip and over 190 rockets and mortar shells were fired from Gaza into Israel. 37 projectiles were intercepted by Israel’s Iron Dome missile defense system, while 73 projectiles struck open areas in Israel. A new ceasefire was reached on Sunday and is largely holding up, but the Israeli military remains on high alert and has increased air defenses in case hostilities resume. 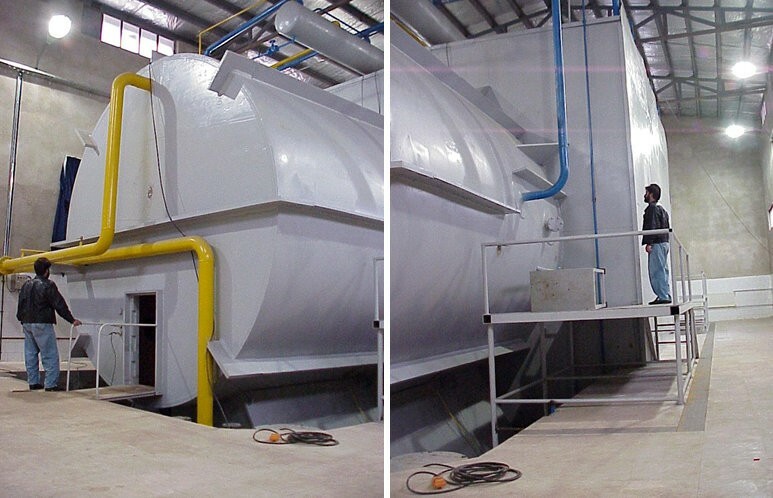 Photographs that Israeli officials said were stolen from Iran’s nuclear archive appear to show a giant metal chamber, in a building at the Parchin military site, built to conduct high-explosive experiments. Credit: Mossad. The New York Times published another compelling story on Sunday — this time, on Israeli intelligence agents who, on January 31st this year, raided a warehouse in Iran that Israeli’s intelligence agency had had been surveilling for almost a year. The agents collected close to 50,000 pages and 163 compact discs of memos, videos and plans regarding Iran’s systematic approach to advancing its nuclear weapons program. Just last week, a select group of reporters were invited to observe some of the key documents. Although Iran argues that the entire trove is fraudulent, American and British intelligence officers have confirmed the documents as genuine. The cache allegedly reveals that Iran’s nuclear weapons program was more sophisticated than most suspected, but that the political mandate after 2003 truly did slow progress down. Additionally, it’s clear that Iran has received foreign assistance in securing some of the materials necessary to construct a bomb, such as uranium deuteride.